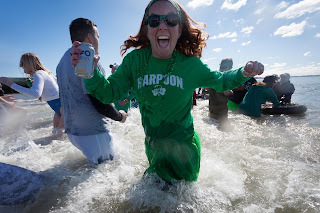 Sea, Sand & Sky: Congratulations to the winners of the 2018 Harpoon Shamrock Splash JetBlue Flights! Congratulations to the winners of the 2018 Harpoon Shamrock Splash JetBlue Flights! 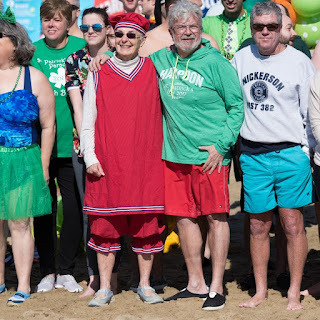 On Sunday, March 11, 2018, more than 250 Splashers plunged into the cool, clean waters of Boston Harbor to raise funds to support free summer events on the region's public beaches. 6 specific Splashers were the very lucky winners of roundtrip JetBlue flights. 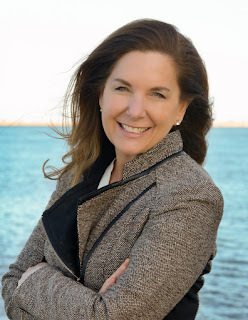 Bridget Ryan and Carol Haney were the biggest fundraisers, and won JetBlue flights because of their amazing efforts. Ryan, from South Boston, raised $1,190 and Haney, from Revere, raised $1,185. Splash. Photo by Mike Murowchick. (Left to right) Carol Haney (one of the biggest fundraisers) and Bruce Berman (Save the Harbor/Save the Bay). Haney, from Revere, raised $1,185. Photo by Katy Rogers. 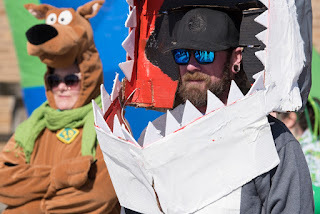 The winners of the costume contest who received JetBlue flights were Miriam Rathbun representing Cambridge, dressed as the Little Mermaid, and Joe Skahan from Lynn, dressed as Shark Man. 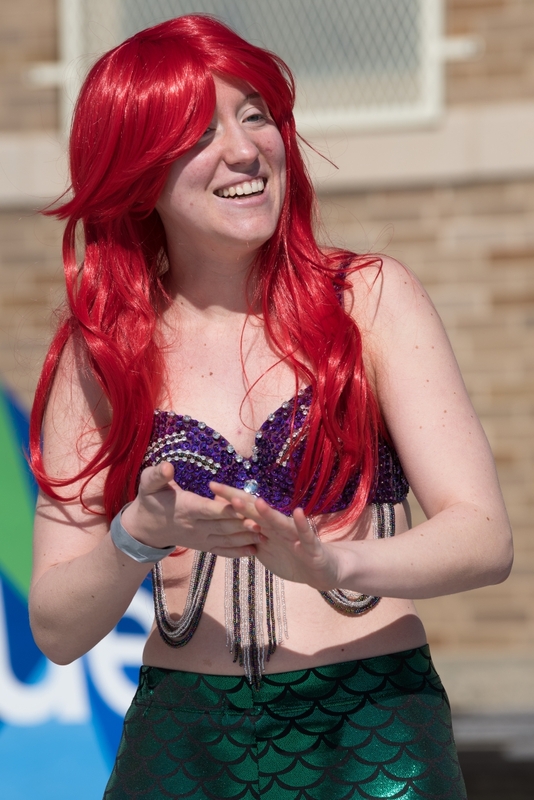 Miriam Rathbun, an MIT student from Pittsburgh, PA, took first place at the Harpoon Shamrock Splash’s costume contest dressed as Ariel, The Little Mermaid. She won a round trip JetBlue flight. Photo by Katy Rogers. Joe Skahan from Lynn took first place at the Harpoon Shamrock Splash’s costume contest dressed as Shark Man. He won a round trip JetBlue flight. Photo by Katy Rogers. Finally, congratulations to the winners of our raffle, Margaret LaForest from Quincy, and Save the Harbor's very own Ian James from Medford. Each will receive roundtrip JetBlue flights. Once again, a huge thank you to everyone who splashed with us and helped us raise over $50,000. Congratulations to our JetBlue flight winners, and make sure to stay posted via our blog and our website to learn more about upcoming events.